Indie developers have a wonderful ability to come out of nowhere and surprise us with a game that looks amazing, and is announced just days before it's actually released. 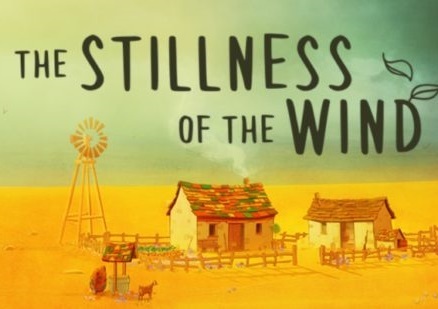 Such is the case with The Stillness of the Wind, a game that releases on February 7 for PC, mobile, and Nintendo Switch. In The Stillness of the Wind, you tend to your small plot of land, growing vegetables, caring for chickens and goats, and in doing so, live a life of simple and peaceful subsistence. Mechanically it looks very much like Harvest Moon, only without the need to sell the crops at the other end and wander around town to socialise. The only human contact you'll have is a travelling merchant, who will bring you news of your family (who never visit) and the world at large, as well as give you the opportunity to barter for things that you need. We're being promised that this game is one of quiet reflection on life - and loss - and as such looks like it'll be a peaceful game that cuts through to the core of what it is to be human. When you're not farming, you'll be able to wander around the desert, reminisce about the past, or draw patterns in the dirt.